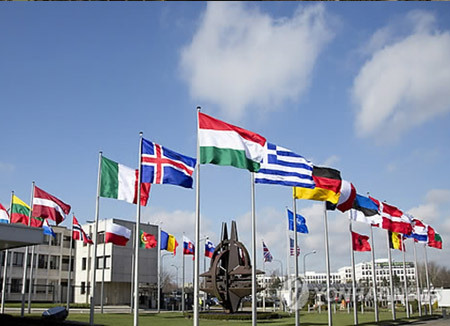 Anchor: The North Atlantic Council(NAC), the top decision-making body of NATO, issued a statement in which it denounces North Korea “in the strongest possible terms” for its continuous nuclear and missile provocations. Report: The North Atlantic Treaty Organization(NATO) has issued a statement strongly condemning North Korea for its nuclear and missile programs. The North Atlantic Council(NAC), the top decision-making body of the military alliance among the U.S. and 27 European countries, met on Thursday in Brussels to discuss recent provocative actions by the North. It was the first time that NATO held a meeting exclusively designed to discuss North Korean issues. Citing numerous tests of ballistic missiles and ballistic missile technology and two nuclear tests this year alone, the statement denounces North Korea “in the strongest possible terms” for its continuous provocations. NATO then welcomed the unanimous adoption of Resolution 2321 at the UN Security Council last month, saying that it is necessary for the international community to thoroughly implement all relevant UN resolutions and be prepared to strengthen its response to the North’s provocations. It also welcomed moves by South Korea, Japan and the European Union(EU) to slap additional sanctions on the North, saying they will contribute to the complete denuclearization of the Korean Peninsula. Emphasizing that it confirms its commitment to lasting peace and achieving the denuclearization of the Korean Peninsula in a peaceful manner, NATO called on the North to refrain from further provocative acts and abide by its international obligations. NATO also urged Pyongyang to recommit to the NPT and comply with its Comprehensive Nuclear Safeguards Agreement with the International Atomic Energy Agency(IAEA). 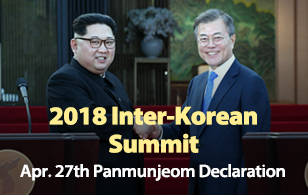 It called on the North to implement its promises recorded in the September 2005 Joint Statement of the Six-Party Talks, abandon all nuclear weapons and existing nuclear and ballistic missile programs and engage in credible and authentic talks on the denuclearization of the peninsula.